Vacation property owners and guests in Palm Coast-Flagler Beach now benefit from world-class property management and customer service. The Florida addition is part of a growing number of destinations managed by iTrip Vacations, the largest franchise brand serving the full-service vacation rental industry in North America. iTrip Vacations has added a new Florida market to its vacation rental management portfolio. 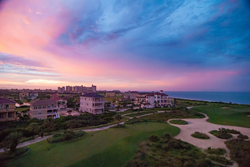 Vacation property owners and guests in Palm Coast-Flagler Beach now benefit from world-class property management and customer service. iTrip Vacations Palm Coast-Flagler Beach – owned and managed by Grant and Kandice Segall – has launched as the newest iTrip Vacations destination. The vacation property management company serves rental owners and guests in Palm Coast, Beverly Beach, Bunnell and Flagler Beach. The full-service program focuses on maximizing net rental incomes, increasing guest satisfaction, and includes international marketing, free light maintenance, a local team available 24/7, and quick-response systems. Palm Coast sits north of Daytona Beach along the A1A Ocean Shore Scenic Highway and Atlantic Ocean. Top things to do include golf, fishing, boating, cycling, kayaking and simply relaxing on the beach. In addition, guests can sample international cuisine and enjoy world-class shopping. To learn more about the full-service property management program, contact iTrip Vacations Palm Coast-Flagler Beach at 855-554-8747.
iTrip Vacations is the largest franchise brand serving the full-service vacation rental industry in North America.